Whenever you save changes to a canvas app, you automatically publish them only for yourself and anyone else who has permissions to edit the app. When you finish making changes, you must explicitly publish them to make them available to everyone with whom the app is shared. For information about how to share an app, see Share an app. If you've never saved the app before, provide a name for it, and then click or tap Save. If the app has ever been saved, click or tap Save. PowerApps can also periodically save the app every 2 minutes. 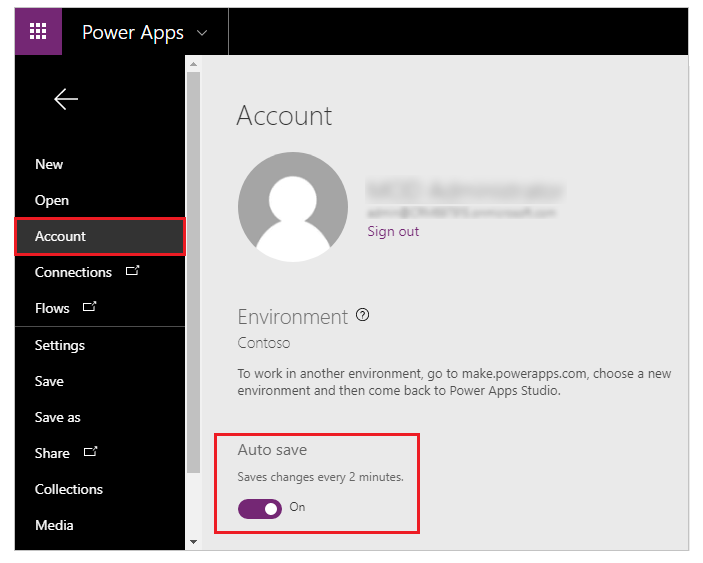 If you have saved the app once, PowerApps will continue to save a version of the app periodically without requiring the user to press or tap the Save action. Authors can enable or disable the Auto save setting from the Account tab on the File menu. 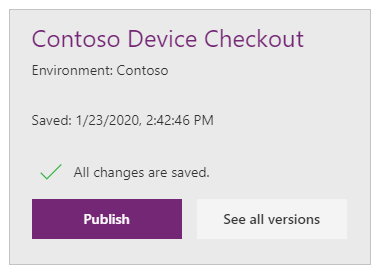 In PowerApps Studio, click or tap Save on the File menu (on the left edge), and then click or tap Publish this version. In the Publish dialog box, tap or click Publish this version to publish the app to all users with whom the app is shared. 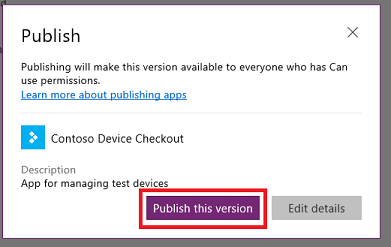 Whenever you publish a canvas app, your app will be upgraded to run on the latest version of PowerApps – which means it will get the benefit of all the latest features and performance upgrades we’ve added since you last published. If you haven’t published an update in several months, you’ll likely see an immediate performance benefit from republishing now. 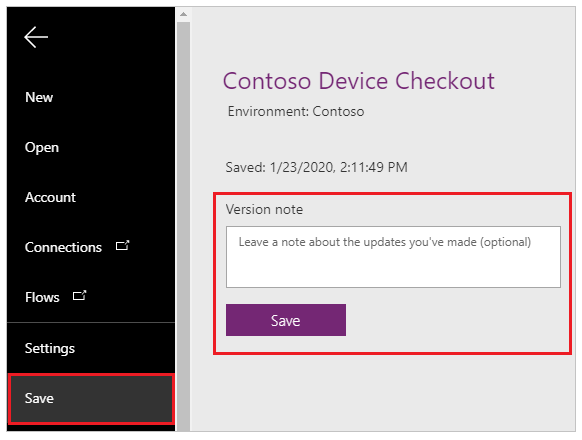 In powerapps.com, click or tap Apps on the File menu (on the left edge), click or tap the details icon for an app, and then click or tap the Versions tab. The Live version is published for everyone with whom the app is shared. The most recent version of any app is available only to those who have edit permissions for it. To publish the most recent version, click or tap Publish this version, and then click or tap Publish this version in the Publish dialog box. Find and run the app in a browser or on a phone. Rename an app from powerapps.com. Restore an app if you have multiple versions of an app.